Be Part of Our Story... Become a Friend of the St. Louis Public Library. 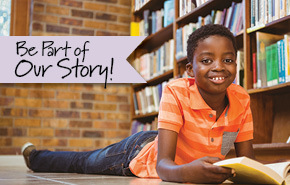 St. Louis Public Library has a great story and we want you to be part of it! Public libraries are the great equalizer, providing free access to materials and technology that promote literacy to everyone who enters their doors. At St. Louis Public Library, we understand that literacy is powerful. 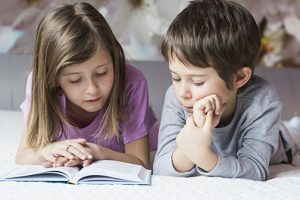 Literacy fuels understanding, and the ability to read and write helps people connect and interact with the world around them. St. Louis Public Library supports literacy every day for everyone. From caregivers attending Storytime with infants and toddlers, to schoolchildren and teens visiting their local Branch after school and during summer months, to our most vulnerable neighbors, young and old… all are welcome, and everyone has the opportunity to benefit from all the Library has to offer. St. Louis Public Library serves areas of genuine need in our community, and our Friends help support this great work. Children need certain resources in order to thrive and succeed, and this includes having support every step of the way. Our Librarians work with parents to support literacy at each stage of a child’s life. They identify books, games, and activities that build curiosity and provide new learning experiences. Almost 50% of people in the City of St. Louis do not have internet access at home. But they do have access at St. Louis Public Library. In today’s world, many basic and important tasks require technology. Being literate in the 21st Century also means being able to use computers and the internet to research and solve problems. St. Louis Public Library offers a sophisticated wireless network in each of its Branches throughout the City of St. Louis to provide connectivity and equal opportunity. St. Louis Public Library is a special gathering space in our community, a place where everyone is welcome--all ages, all interests, in person, and online. St. Louis Public Library provides access to books, CDs, DVDs, eBooks, and other forms of information, and, of course, different points of view. There is, quite literally, something for everyone in the Library. Your gift will allow us to continue living the great stories of every Library patron we serve. Be Part of Our Story… Become a Friend!